Do you rely on your hands to be able to carry out day-to-day activities at work? Are they exposed to a number of hazards? If so, then be sure to pay a visit to the Polyco stand, Q2200 at Safety & Health Expo on the 17–19 June at London’s ExCel Centre. Visitors to the stand will be given the chance to sample the new collection of gloves from Polyco and find out more information on the Hand Protection Assessment Survey (HPAS) that Polyco offers to companies with 50+ employees free of charge. HPAS helps to identify the specification of the most phentermine 37.5 mg prescription suitable hand protection solution. 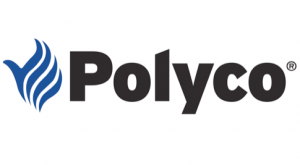 Commenting on Polyco’s attendance at Safety & Health Expo, Mark Mastrangelo, marketing manager at Polyco said: “2014 is continuing to be a very exciting year for Polyco with the launch of a further four new gloves onto the market.